Who is the Best Sales Speaker in Charlotte NC? If you’re hiring a sales speaker Charlotte NC, you don’t just want the best – you need the Charlotte Sales Speaker you hire to be inspiring, motivating, and most of all, effective. Hiring a Charlotte Sales Speaker is an investment. Not only do you have to pay the Charlotte Sales Speaker; you have to trust that the speech they give will provide you with a strong ROI for months and years to come. With hundreds of experienced, professional sales speakers to choose from in Charlotte, selecting the speaker that will make an impact on your sales team can be a daunting task. Luckily, the truly great sales speakers are few and far between, and easy to spot once you know what to look for. The best Charlotte Sales Speaker will have proven sales experience – without a proven track record in sales, the Charlotte Sales Speaker you hire won’t be able to do much beyond cheerleading. Instead of mere inspiration, your sales team needs practical, tangible skills they can use today to increase sales tomorrow. The best Charlotte Sales Speaker will be local – With so many strong sales speakers in Charlotte and North Carolina, going local can be a cost-effective way to book a top speaker for less. More importantly, local sales speakers can visit your business, do ride a long’s with your sales team, and become a local expert for you company. The best Charlotte Sales Speaker will blend skills with strategy – your team needs a deep understanding of cutting-edge sales strategies along with the skills to make those strategies a reality. The best sales speaker Charlotte NC will not only present high-level strategic ideas; they will show your team exactly how to implement those ideas on a daily basis. 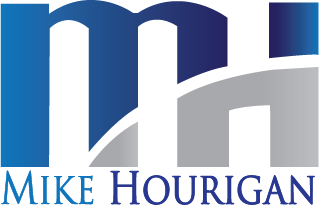 Mike Hourigan is a Sales Speaker, Author and Consultant who specializes in sales skills training for Charlotte-based companies and organizations.